Man does not already know enough about volcanoes, especially about their activities. NASA has set out to explore more about volcanoes in Hawaii and the agency expects to capture more useful information about volcanoes. There is no telling what exactly the project would capture in the Hawaii volcano fissures, but it can be expected that NASA may replicate the study in other regions of the earth and planets. Additionally, the knowledge gained in Hawaii could help polish the understanding of volcanoes. There exist volcano regions where man cannot venture, such places include Hawaii’s Kilauea volcano. NASA has found a way to deal with such tricky situations by way of robots. The agency has already deployed a robot known as VolcanoBot 1 to help with the exploration of volcano fissures in Hawaii. Therefore, VolcanoBot 1 is expected to help in gathering information about volcanoes that are not already properly understood by scientist. VolcanoBolt 1 is one among the two robots that NASA wants to deploy in Hawaii to study volcanoes. The other robot is dubbed VolcanoBolt 2, which will be deployed later this year. VolcanoBolt 2 is smaller robot compared to VolcanoBolt 1, which was set to a volcano fissure in Hawaii in May last year. There are a number of benefits expected from the deployment of the two robots to study volcanoes in Hawaii. One of the benefits is better understanding of why volcanoes erupt. Perhaps deeper understanding of volcanoes and their activities can help reduce the adverse impact of their eruption on humans and the environment. Knowledge gained from the study of the volcano fissures in Hawaii can also help to understand more about volcanoes elsewhere on the earth. 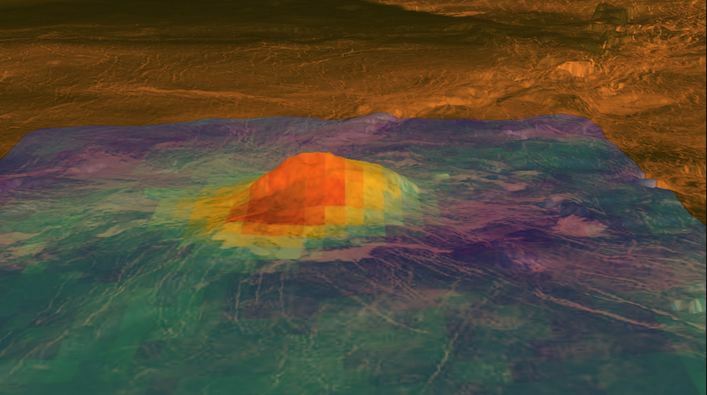 Additionally, the information gleaned from the ongoing volcano exploration in Hawaii can be useful to NASA in undertaking a similar project in other planets such as Mars.